Have you always dreamed of dancing atop your favorite team's dugout? 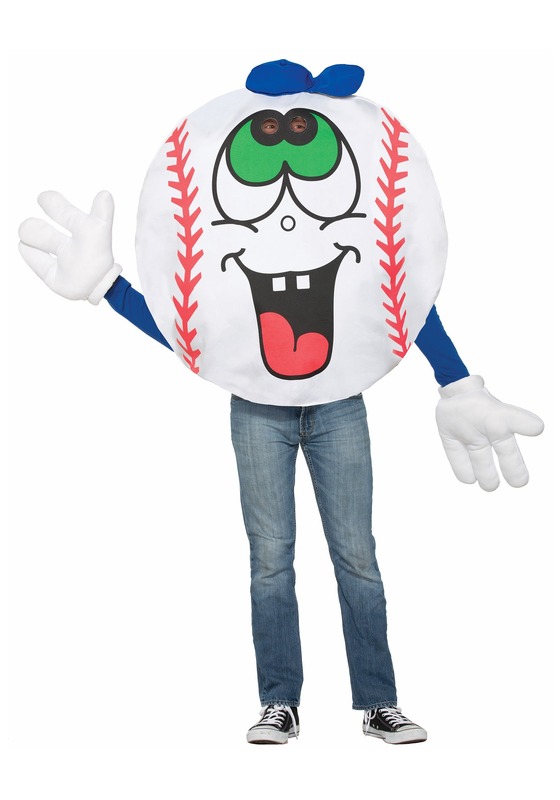 It's a long, tough journey to rise to the top of the mascot ranks and make it to the big leagues, but we can give you one heck of a shortcut when you get this adult Baseball Mascot costume! With this fun look, you can quit daydreaming about living the mascot life and start practicing for the big show. The zany tunic is sure to have all of the fans eating their hearts out, and you can dance your heart out while you practice your routine. Just get this printed polyester tunic, pick out your favorite song, and memorize your slick moves. Work out the timing to get your entire routine in between innings, and you might want to get yourself some practice in aiming that t-shirt cannon, too. 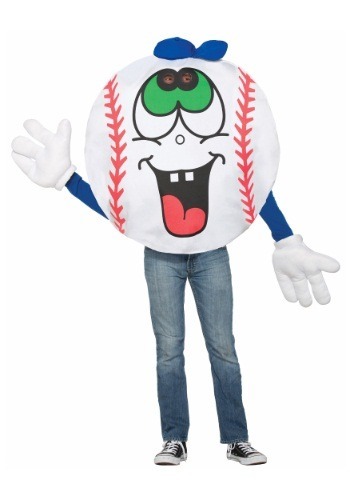 However you envision your baseball mascot dreams, we're sure that with this easy-to-wear costume, you'll be dancing on top of the dugout in a top-tier MLB park in no time!